A class action lawsuit was filed against the Ford Motor Company and supplier Bosch on Wednesday alleging that the former installed emissions defeat devices in its diesel F-250 and F-350 trucks, causing them to produce up to 50 times more oxides of nitrogen than allowed by law. This should sound familiar by now. Ultimately, the lawsuit claims that “engineering experts” found that the reduced emissions controls effectiveness resulted in five times the allowable NOx output when in “normal” stop-and-go driving conditions. And in “modest” uphill driving or towing conditions, Ford F-250 and F-350s were measured to emit 30 to 50 times the standard set by the EPA. The suit was filed by four firms, including Hagens Berman Sobol Shapiro LLP, which also lobbed a class action lawsuit against Volkswagen for diesel cheating. Bosch, as you may recall, has also faced its own lawsuits and investigations over apparent role in the VW diesel cheating scandal. 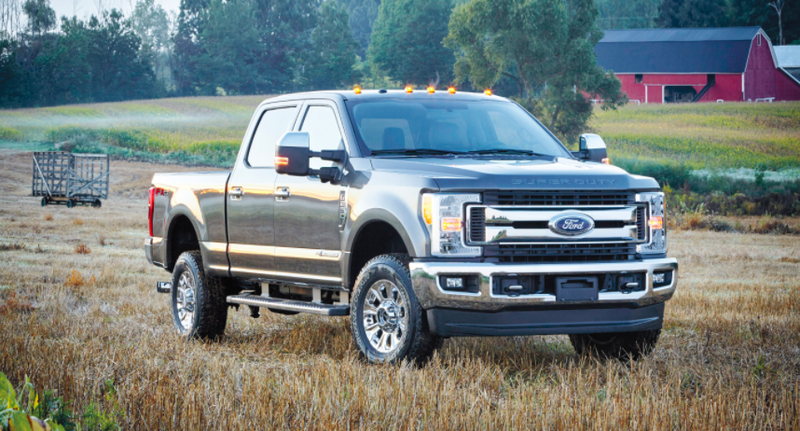 The plaintiffs in the lawsuit apparently conducted their own testing on a 2014 F-250 Super Duty in stop-and-go conditions as well as steady-state highway driving using “accepted testing equipment and protocols conducted by engineering experts.” More specifically, those experts relied on a “portable emission measurement system” similar to what CARB and the EPA use for heavy-duty truck emissions compliance, the lawsuit says. OnDecember 2, 2016, Plaintiffs’ counsel, based on the same type of expert testing and investigation conducted in this case, filed a class action alleging that FCA’s DodgeRam and Jeep Grand Cherokee EcoDiesels were exceeding emissions standards and producing emissions beyond that a reasonable consumer would expect to be produced by “Eco” vehicles. On January 12, 2017, essentially confirming the work of Plaintiffs’ counsel, the EPA issued a Notice of Violation to FCA because it had cheated on its emissions certificates with respect to its Dodge Ram and Jeep Grand﻿ Cherokee. Diesel emissions cheating is a huge deal. It cost Volkswagen billions of dollars and a huge blow to the company’s reputation, and allegations against Fiat Chrysler’s 3.0-liter diesels delayed certification of Ram 1500s and Jeep Grand Cherokees with those engines, and also did nothing to aid that company’s outward appearance.